The global economy and the technological advancement which have evolved over the years have influenced how multinational organizations carry out their business activities. Today, most organizations cannot remain in the domestic market and make a profit at the same time (Dickmann & Harris, 2005). In this case, most firms have been motivated to send their employees to foreign countries as part of a competitive strategy. They employees who are assigned to work overseas are known as expatriates. The success of sending employees abroad depends on the ability of the organization to hire the right talent. Besides, such employees must be hired at the appropriate time and must be sent to the right countries. The expatriates play a significant role in expanding and developing new markets for their firms abroad (Armstrong & Taylor, 2014). Besides, they control foreign operations by implementing the right technology so as to adapt to the international market. The growing number of the international assignments has changed the role of the human resource management. Sending competent and talented employees is a motivational strategy employed by HR to ensure that they retain their skilled workforce by exposing them to different work environments (Dickmann & Harris, 2005). The success of most global organizations depends on the international assignments. Most global companies send their employees abroad so as to lift the global image reputation of the organization and also to cultivate the potential of their employees. Taking international assignments enhances future career progression and growth or advancement. The employees who are willing to be deployed as expatriates are considered as the greatest asset for the organization (Armstrong & Taylor, 2014). Failure to take international assignments is usually considered as a primary draw back to the organization. Therefore, the employers are required to consider various legal and economic factors before sending their employees abroad to act as expatriates. Despite the advantages of taking international assignments, employees are obliged to consider various factors before declining or accepting the offer. Various factors such as improved salary package, the opportunity for career progression and growth and international cultural experience are some of the factors that may entice employees to accept to relocate to foreign countries (Dickmann & Harris, 2005). However, various expatriation failures may obstruct employees from taking such assignments. Such factors include demographic factors, family related issues, culture and environment of the foreign country, prior experience of the foreign country, and job-related issues. According to the most studies which have been conducted by various researchers; family matters have been the leading contributing factor that influences the ability of employees to take international assignments. Moving to a foreign country to take up an international assignment not only affect the expatriate but also the entire family (Armstrong & Taylor, 2014). In most cases, the expatriates do consider their spouses and children before making the final decision to relocate to other countries. Sometimes the family members fear for the political and environmental factors in the foreign countries thus discouraging the expatriates from taking international assignments. Other family members who have a prior experience of the performance of the company in the foreign countries may also influence the decision of taking an international assignment. The growing reluctance of the expatriates to take international assignments is caused by the inconvenience and family disruptions one is likely to experience especially with the spouse and the children (Dickmann & Harris, 2005). The willingness to relocate is influenced by various factors such as disruption of the children’s schooling and the career of the partner. In western countries, the expatriates are usually accompanied by their children and spouse when moving to a foreign country. In this case, the spouse will be forced to quit their current job. Besides, the children will be compelled to look for new schools. It is always difficult to secure employment opportunity in a foreign country due to lack of social support and network (Armstrong & Taylor, 2014). As such, the spouse of the expatriate will be forced to become jobless while seeking for a new employment opportunity in a foreign country. The support that family members give to an expatriate plays a significant role in determining whether to take the international responsibility (Noe, Hollenbeck, Gerhart, & Wright, 2006). The attitude of the spouse plays an important role in influencing the employee to take up global roles. Today, most women are full-time employees. In this case, they consider themselves as dual income families. Dual income families are those who hold senior management positions in various organizations. As such, employees will take into consideration whether taking international assignment will influence their professional career. In most cases, those who belong to dual income families find it hard to relocate to foreign countries (Armstrong & Taylor, 2014). This is because relocation will disrupt the cash flow or income. Besides, the spouse will also be reluctant to quit the current position since this will affect the future career prospects. Therefore, employees who are committed to their jobs and families will find it hard to relocate and accept international assignments. Family stress also is a potential factor that influences the willingness of an employee to either take or decline an expatriate role (Dickmann & Harris, 2005). For instance, the ability of the family to adapt to the foreign environment will influence their decision to accept or reject the international assignment. Employees who experience family problems or who are taking care of ailing parents or spouse may opt to decline an international assignment. Therefore, family plays a significant role in determining whether an employee would accept or reject an expatriate position. The packages that employees are expected to get influence their willingness to take international assignments. Most employees will always be motivated to relocate if the organizations they work for a promise to offer the attractive packages (Dickmann & Harris, 2005). Such packages include increased allowances, guaranteed promotion and taking up more challenging roles and responsibilities. If the package an employee is being offered is not satisfactory, the staff may fail to take the international assignment. Most employees do believe that international assignments should be a stepping stone for career progression and advancements. Possible future career advancement is likely to motivate employees to take international assignments. However, employers who give lesser attention to their employees’ progress while finding it hard to convince their employees to take international assignments. The psychological factors related to expatriation also influence the choice of employees in taking up international assignments. The employers who value the non-work needs of employees can quickly affect the decision of their employees in taking international assignments. The ability of the company to continue taking care of the feelings of the employee in the foreign country plays a major role in influencing their decisions (Dickmann & Harris, 2005). Besides, a comprehensive career plan will also motivate employees in taking international assignments. Employees who have been promised of promotion and better packages upon their return would accept the expatriate role quickly. There is a positive correlation between the attractive packages and relocation of an employee in taking expatriate positions. This is because employees who relocate to foreign countries are assured of better packages and promotion upon return after accomplishing the expatriate role. Doing an international assignment will expose an employee to different kinds of environment and cultures (Dowling, 2008). Besides, the employee will learn a new language. As such, the employee will be motivated to take up the expatriate role. The environmental factors that influence the decisions of employees in taking up international assignments include political stability, the cost of living, social amenities such as healthcare services, climatic conditions, and the lifestyles. These factors influence the decision of employees in taking up expatriate positions. On the other hand, culture refers to the values, norms, and practices which people ascribe. The urge to learn a new culture in a foreign country will influence the decision of the employee concerning international assignment. On the other hand, inability to adapt to a new culture and environment will affect the decision made by the employee concerning the global roles. If an employee suspects that the new environment will expose him or her to stress and anxiety then he or she will opt to remain in their home country. The expectations of the employees concerning relocation to the new destination are also instrumental in influencing the decision to relocate (Dickmann & Harris, 2005). Positive and desirable foreign environment will affect the decision of the employee to move and take expatriate roles. The environment and culture are receptive; the employee would be willing to move to take an international assignment. Besides, political stability, favorable living conditions and economic development in a foreign country would motivate the employee to accept an expatriate role. The previous relocation experience influences the willingness of the employee to accept an international assignment. Employees who have worked in foreign countries are always motivated to take other international assignments (Noe, Hollenbeck, Gerhart, & Wright, 2006). The ability to adapt to the previous location is a motivating factor. This is because the employee is sure that he or she can quickly adapt to the new environment. As such, they will be willing to accept the international assignments in a foreign country. Employees who have prior experience do possess the requisite skills, knowledge, and attitude that one needs to undertake the expatriate role (Dowling, 2008). The previous experience of an expat role enables employees to form realistic expectations concerning the international assignment. Therefore, prior relocation experience is a contributing factor that motivates employees to take international assignments. The character traits that employees possess play a significant role in accepting international assignments. The employee’s personality traits also determine how employees will be receptive to the expatriate position. In most cases, three personality traits are used to determine whether the employee would be willing to take up an international assignment. Employees who are ready to take persevere, take the risk, and motivated to achieve will be prepared to take expatriate roles (Dickmann & Harris, 2005). These roles are usually linked to an entrepreneur. It is believed that entrepreneurs are always to take up risks and explore new environments. Entrepreneurs are always clear about what they want to achieve (Dowling, 2008). Therefore, they will be willing to take expatriate roles so as to progress in their career. As such, the personality trait that an employee possesses plays a significant role in their willingness to accept an international assignment. Age is a factor that determines whether an employee will be willing to relocate to another country to take up an international assignment. Employees who are above the age of 50 will not be ready to take expatriate roles since they have family commitments and personal goals that they want to achieve in their home country. Besides, they have reached the peak of their career and may not benefit much from an expatriate role. On the other hand, younger people will be willing to take expatriate positions since they are still looking for a stepping stone to career progression (Dowling, 2008). Besides, international roles will allow them to explore and learn about the new environment. In most cases, younger employees who move to foreign countries to take up international assignments are promised promotion upon their return. As such, they will be motivated to take expatriate roles in foreign countries. The employee who suffers certain chronic diseases may find it difficult to relocate to foreign countries. For instance, employees who suffer from hypertension and other lifestyle diseases may find it difficult to adapt to the new environment. As such, they will be willing to remain in the home country rather than moving to foreign countries to take up international assignments. Bender, S. and Fish, A., 2000. The transfer of knowledge and the retention of expertise: the continuing need for global assignments. Journal of knowledge management, 4(2), pp.125-137. Baruch, Y., Budhwar, P.S. and Khatri, N., 2007. Brain drain: Inclination to stay abroad after studies. Journal of world business, 42(1), pp.99-112. Bonache, J., Brewster, C. and Suutari, V., 2001. Expatriation: A developing research agenda. Thunderbird International Business Review, 43(1), pp.3-20. Brewster, C., Sparrow, P. and Harris, H., 2005. 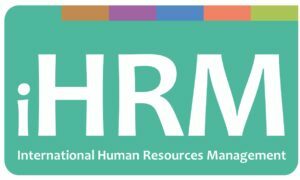 Towards a new model of globalizing HRM. The International Journal of Human Resource Management Group, 16(6), pp.949-970. Chiaburu, D.S. and Marinova, S.V., 2005. What predicts skill transfer? 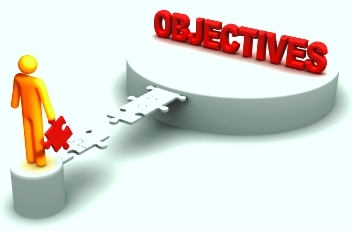 An exploratory study of goal orientation, training self‐efficacy and organizational supports. International journal of training and development, 9(2), pp.110-123. Carr, S.C., Inkson, K. and Thorn, K., 2005. From global careers to talent flow: Reinterpreting ‘brain drain’. Journal of World Business, 40(4), pp.386-398. Daniels, J.D., Radebaugh, L.H., Sullivan, D.P. and Salwan, P., 2009. International business. Pearson Education India. De Jong, J.P. and Den Hartog, D.N., 2007. How leaders influence employees’ innovative behaviour. European Journal of innovation management, 10(1), pp.41-64. Dickmann, M. and Harris, H., 2005. Developing career capital for global careers: The role of international assignments. Journal of World Business, 40(4), pp.399-408. Jokinen, T., 2005. Global leadership competencies: a review and discussion. Journal of European Industrial Training, 29(3), pp.199-216. Harzing, A.W. and Pinnington, A. eds., 2010. International human resource management. Sage. Kraimer, M.L., Wayne, S.J. and JAWORSKI, R.A.A., 2001. Sources of support and expatriate performance: The mediating role of expatriate adjustment. Personnel Psychology, 54(1), pp.71-99. Marler, J.H., Woodard Barringer, M. and Milkovich, G.T., 2002. Boundaryless and traditional contingent employees: Worlds apart. Journal of Organizational Behavior, 23(4), pp.425- 453. Noe, R.A., Hollenbeck, J.R., Gerhart, B. and Wright, P.M., 2006. 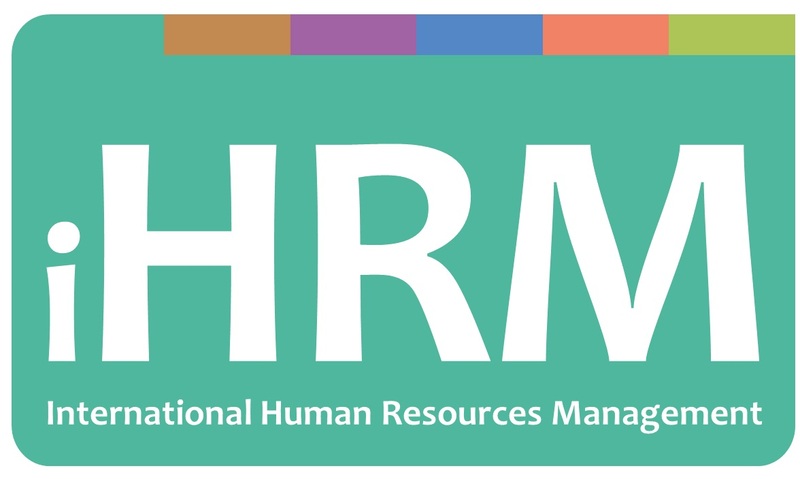 Human resource management: Gaining a competitive advantage. Stahl, G.K., Miller, E.L. and Tung, R.L., 2002. Toward the boundaryless career: A closer look at the expatriate career concept and the perceived implications of an international assignment. Journal of World Business, 37(3), pp.216-227. Yan, A., Zhu, G. and Hall, D.T., 2002. International assignments for career building: A model of agency relationships and psychological contracts. Academy of Management Review, 27(3), pp.373-391.